Most cases start as stubs, but after many contributions, they can become featured cases. 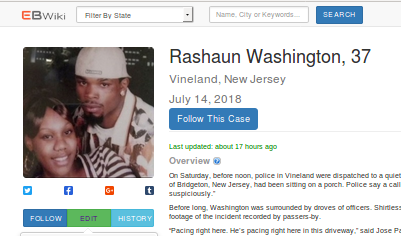 In addition to research a case and writing an case themselves, users can write to us and request that we find out information on cases that we do not have listed. Above all, it is important to understand that in contributing to EBWiki, users are expected to be civil and factual, respecting all points of view, and only add verifiable and factual information rather than personal views and opinions. Verification includes cases, news stories and original documents. You can add as many links as you like to support your edits and additions. Click the “Add a New Case" Button in the Top right corner of the header. 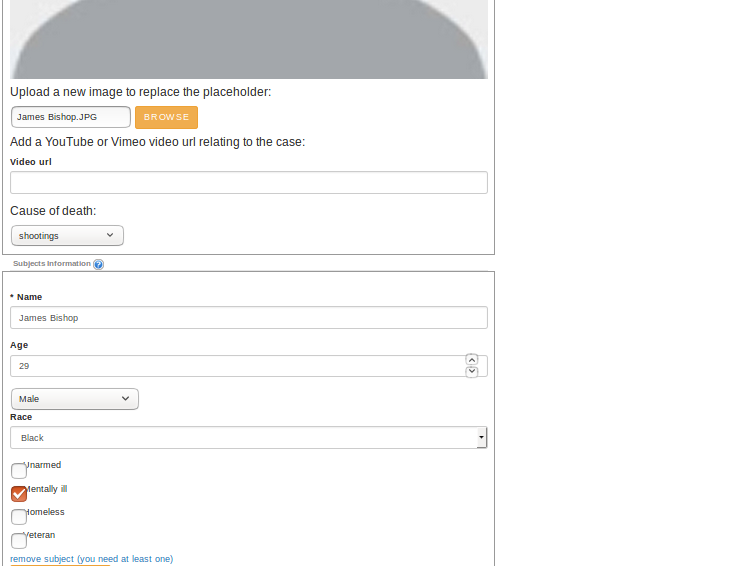 To edit existing case, login and view an case. Click on the Edit button beneath the image and you will be taken to the data entry form similar to the one for entering new data.Edit the entries and click "UPDATE CASE" to submit. To follow existing case, login and view an case. This will display page similar to editing a case. Click on the Follow button beneath the image to follow a case(when this button is clicked, it changes to “Unfollow”). To unfollow existing case, view an case from your profile and click Unfollow button. 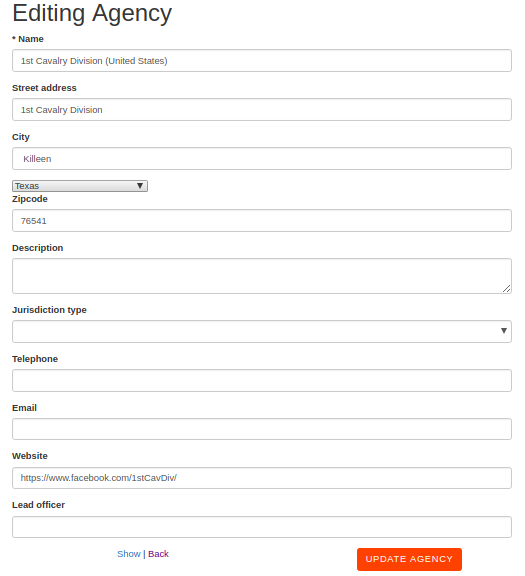 To add a new agency, login and view an case, click on the Edit button beneath the image this will display the data entry form similar to one for adding a case. Scroll down to the Agency section and click 'Add a new agency' link. 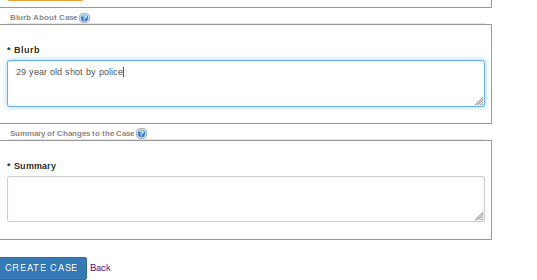 Form for adding a new Agency will be displayed, enter content in the fields as indicated and click "CREATE AGENCY" button to submit. To update an existing agency, login and visit https://ebwiki.org/agencies this will display a list of all Agencies, search the Agency you would like to update and click 'Edit' link. 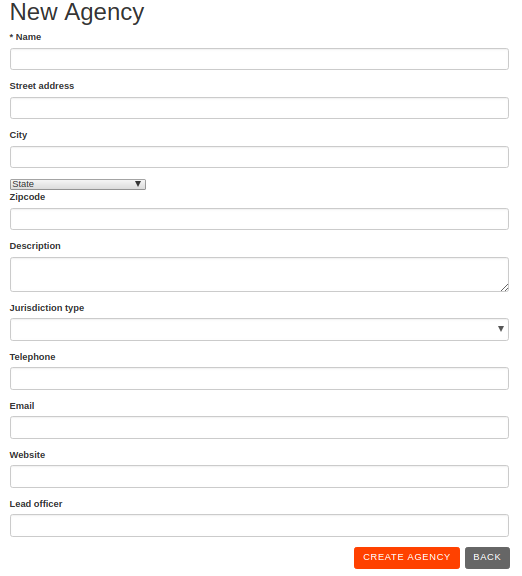 This will display a form similar to new agency form, update the fields as indicated and click 'UPDATE AGENCY' button to submit.